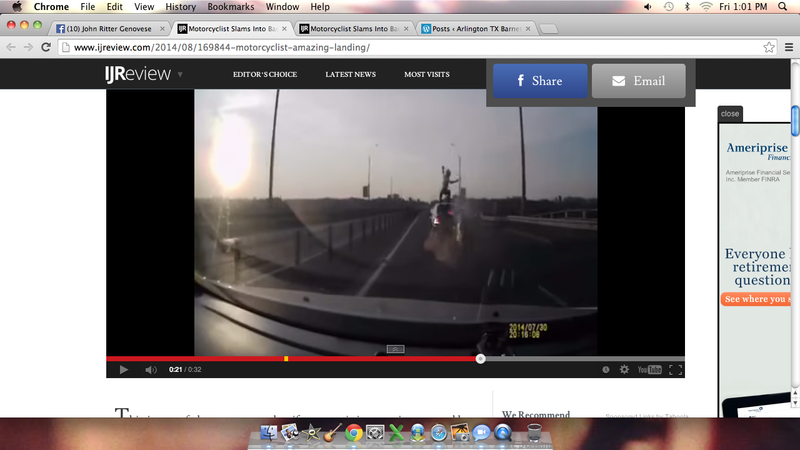 http://www.ijreview.com/2014/08/169844-motorcyclist-amazing-landing/ This car cut in front of cyclist who rear ended it and flipped onto the roof in a standing position….the rare odds of how often this happens is to me symbolic of the odds of fracking not ruining water supplies. We increase our water risk by 1) The by the “human error sheer build-out/accident rate”, 2) the learning curve not improving in the industry and 3) climate change affecting drill sites …why risk it? Update August 2014… Here is a link to 1973-1981 (pre-drilling water info) “The concentrations of dissolved iron and dissolved manganese are exceptions to this generalization. At site AQ near Arlington Dam, the concentrations of dissolved iron and dissolved manganese in the hypolimnion often exceed the secondary maximum contaminant levels of 300 ug/L of dissolved iron and 50 ug/L of dissolved manganese. However, the concentration of neither constituents poses a significant problem.” Maybe that iron problem is because the story goes……it rained before they could pull out the dredging equipment and so it lays rusting down there and we drink it. But no worries (sarcasm) I’ve read that “Iron competes with lead for absorption in the gut and uptake within the body, and vitamin C can enhance its ability to displace lead”. If the story is true, then metals/machinery down there degrading at the bottom of our drinking water reservoir in Lake Arlington is a source of arsenic, FYI so comforting-not. The conclusion in the 1973-1981 water report says of algae… ” The density and composition of algal populations varied seasonally. At site AC, total algae counts ranged from 220 to 240,000 cells/mL and averaged about 50,000 cells/mL. At site FC, algae counts ranged from 1,000 to 290,000 cells/mL and averaged about 56,000 cells/mL. Algal densities usually were greatest during the summer when bluegreen algae were the predominant phyla”. update May 2014 now that our 2013 annual water report is available (and no longer being mailed)…. update 1/27/2014 here is a related “whats in our water?” article. Who can define “not strongly toxic” when it comes to chronic, low, or unknown constituent doses in our water supply? Then there is the synergistic effect of unregulated, multiple, possibly cumulative chemical effects…. Below is the haunting bold-faced words from the W Virginia chemical spill that prompted me to blog here today for Arlington residents to put pressure on our officials to BAN FRACKING NOW!!! “The chemical involved, 4-Methylcyclohexane Methanol (MCHM), is an industrial chemical used locally to clean up fine coal dust. It is not believed to be strongly toxic – in relation to other industrial chemicals – but it is very difficult to clean up. It is also not among those chemicals a water treatment plant would typically test for – making detection much more complicated. Here is what all water drinkers need to fear when industrialization occurs near you like the 50-100 fracking laterals underneath our Lake Arlington drinking water source….. The blue area is Lake Arlington and the lines are where the cement casings (that were perforated) go under our drinking water source 7000-8000? feet deep that is subject to seismic and migration risks. trying to alert the public and our city officials ….never mind that we already had a surface spill from a Quicksilver padsite on the Ft worth side of our drinking water reservoir….that we all inadvertently drank after the fact. Here is a report on that toxic spill into Lake Arlington by Jan Miller of the Arlington Conservation Council on page 5 that I boldfaced for emphasis…..
“When I first heard this story, I couldn’t help but think of the old saying, ‘If a tree falls in the forest, will anybody hear?’ Report of a toxic spill of fracturing fluid that reached Lake Arlington made its way to public notice recently, almost eight months after the event. The Star-Telegram noted on March 2, 2011, that a Quicksilver gas production site on the west side of Lake Arlington had noted and reported the leak on July 15, 2010. The total volume of fluid leaked is unknown, but 3990 gallons were vacuumed up at the site. Because there was no containment berm, fluid traveled 450 feet and reached the lake. It is unknown how much fluid reached the lake but the estimate is 210 gallons. The measure of environmental impact used in the assessment was visible fish killed. No study of the actual environmental impact was done. Fluid traveled 75 feet in another direction and damaged plants covering 700 square feet. The gas company failed to notify the city until 8 hours after the spill was discovered, in violation of city ordinance. Arsenic and carbon tetrachloride levels were above normal in water samples from the lake. 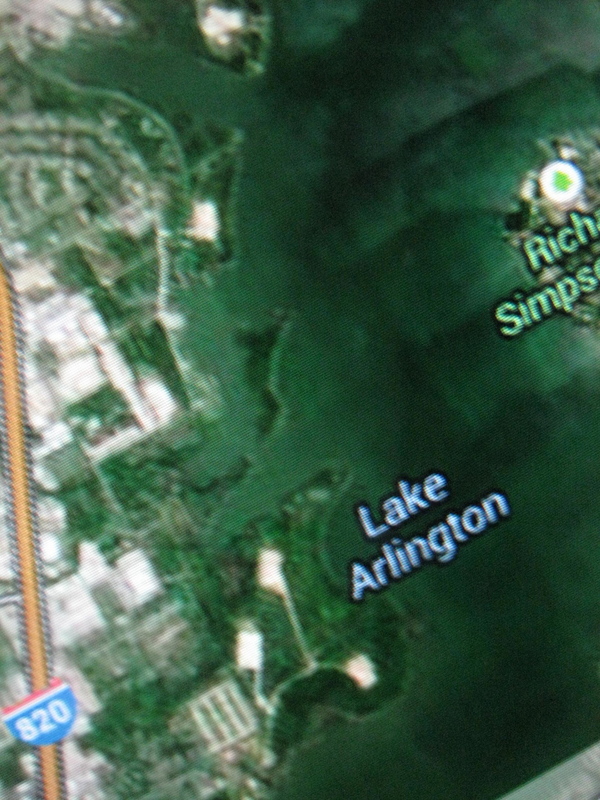 The Star-Telegram noted that the spill is “a perfect example of why city officials are drafting a Lake Arlington Master Plan and other ordinances aimed at protecting the lake.” As the drinking water source for a reported 500,000 Arlington-area residents, additional safeguards for Lake Arlington are needed. Unfortunately, numerous gas wells already dot the west side of the lake, a large compressor station sits at the west end of its dam and more wells are rapidly appearing. Along the east side, residential areas are pushing the drilling sites farther away from the lake, but into neighborhoods. …and this wasn’t Quicksilver’s first spill either. I also blogged on the Atrazine found in our drinking water, so what are the odds that we are already drinking unknown or undiscosed or unscreen for frack chemicals? It can and probably already has happened that we are ingesting that which is within the law to do so via void of legislative protections. Watch Sandra Steingraber’s “Living Downstream” on Netflix to see the segment on why Atrazine turns a male frog into a female. Even if we plugged our gas wells we still have the risk that get more riskier with age and this is coming from an industry agent. Got this pic off of Facebook going viral of the Freedom spill victim’ s mother posing a pic of her son after showering. 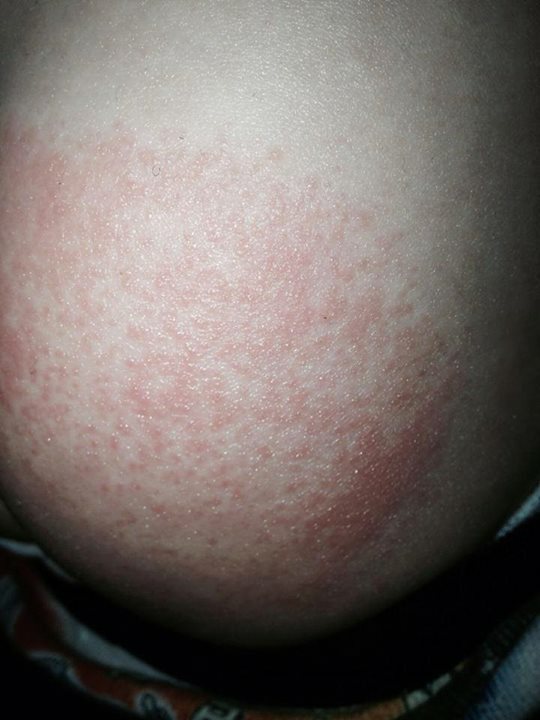 He is extra skin sensitive tough she mentioned. and flaming water videos claimed as the result from the West Virigina Freedom Chemical Spill. And please don’t get me started on the (toxic/radioactive? drilling mud) “landfarming” that could be occurring right here in ARLINGTON and possibly right next to Seguin Highschool (yes I have filed staff/student abuse complaints)!!! That statement proved I was on the right track to be subscribing to the USGS in seeing spikes in specific conductivity levels in the rivers which I understand is salinity related. Below is an email about my questioning our Arlington water director of what screening level is appropriate, but I have gotten no real direction on this request. Now with toxic frack related waste water at the end of the extraction process is preceded by toxic drilling mud concerns. And the first study that I am aware of for our Barnett Shale with respect to how radioactive our area may be confirmed my worries about loopholes and unknowns in regulations for TENORM. 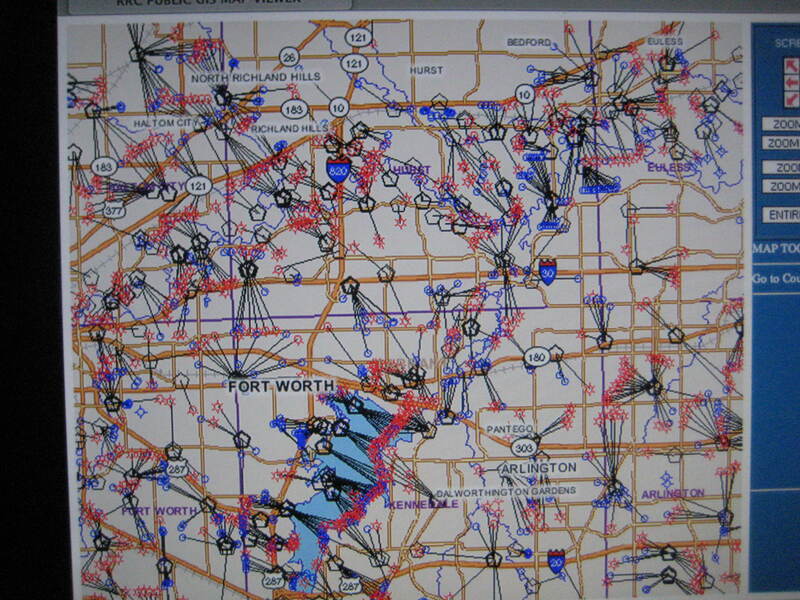 Yes Arlington residents have more to fear every time we turn on the tap because through drilling related technologically Enhanced Normally occurring Radioactive Matter (TENORM), runoff, migration, and airborne routes (if drilling mud spread on the land next to these drillsites dry up and fly away) this too risks our air, soil/foodchain and water from TENORM! I see alot of DFW Trinity River alerts to higher readings-wondering if we are tracking that in the storm water run off dept? Buzz is 700 micro-S/cm too low to set my alert threshold with the USGS? I get so many alerts..do you have a suggested threshold? This entry was posted in Uncategorized and tagged 4-methylcyclohexane, accident, acid, algae, arlington, arsenic, Barnett, blue-green, bluegreen, bluegreen algae, brine, brothers, buzza pishkur, cancer, city of arlngton water, cityofarlington, cleaning, coal, conductace, confidence, Conservation, consumer, contamination, counsel, counsil, drilling, dumping, elk, epa, fallout, feil, fflaming, flip, fracking, freedom, ft worth, Geosmin, industries, iron, jan, jeff williams, Kim, kimfeilgood, koch, lake, lead, Living Downstream, manganese, mchm, methanal, methanol, migration, miller, Miracle, motorcycle, municipal, Netflix, norm, particulate, pollution, prosper, quality, radiation, rain, rashes, report, river, salinity, screen, shale, specific, tap, TENORM, texas, usgs, Virginia, waer, watcSandra Steingraber, water, West. Bookmark the permalink.